June 29, 2017 January 11, 2018 Fotini ✨Leave a Comment on Kitchspiration! We’re making progress with the kitchen (Hoorah!!!) The old cabinets no longer exist, a walls been knocked down and we have hot running water! It’s a miracle. Even-so, we’re only half way. Still a fair bit to be done. 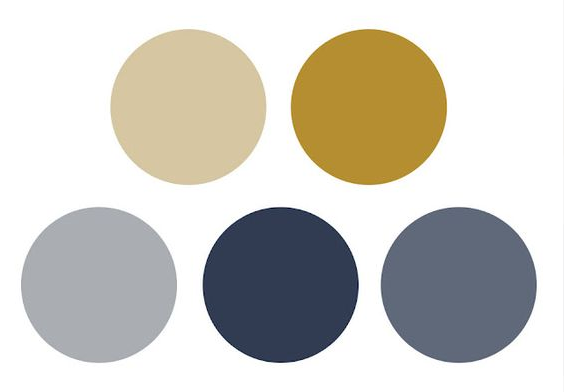 As you all know from my previous house blog, grey & mustard yellow are the colours in the living room. From reading House Beautiful to searching for hours on Pinterest, I personally think we should go for navy blue cabinets as it works well with the mustard in the living room with marblesk metro tiles – links nicely with our marble fireplace you see. Our worktops are solid oak (from eBay, a seller called Kitchen’s Direct) & we’re planning on having open shelves, so the below images really struck a cord. The tile design on the left image is insane! We want the kitchen a little more industrial so we’re going to add industrial lighting, metal clad sockets and exposed piping as well as funky tiles on the floor. Clear jars for pasta, coffee, sugar and the like will be added as finishing touches along with green plants, vintage artwork and pendant lights. We’re hoping to add a little breakfast bar too!